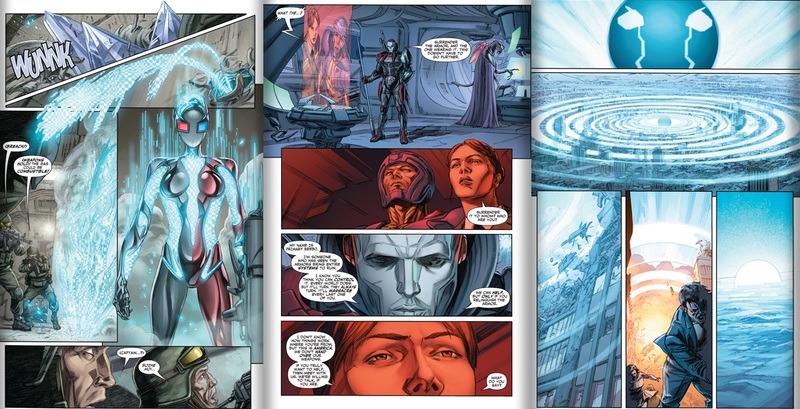 In Russia two of the armor hunters break into a military complex kill all in sight before closing in on prototype X-O Manawar armors in development there. Elsewhere Malgam screams that the armor hunters are here to destroy him. 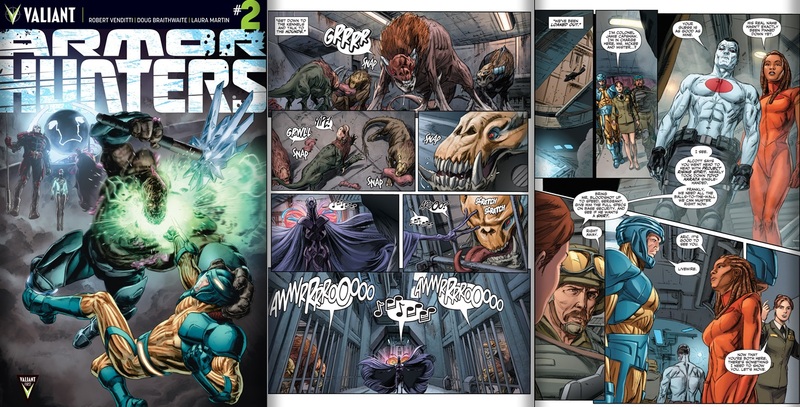 In orbit the Armor hunters send down a probe to prove to humanity that they mean business and demand that Malgam and X-O Manawar hand themselves over. Aric/X-O and the American military prepare countermeasures as they try to work out Aric’s surrender to the Armor hunters. Elsewhere Livewire brings Bloodshot into the mix as countermeasure plans heat up. 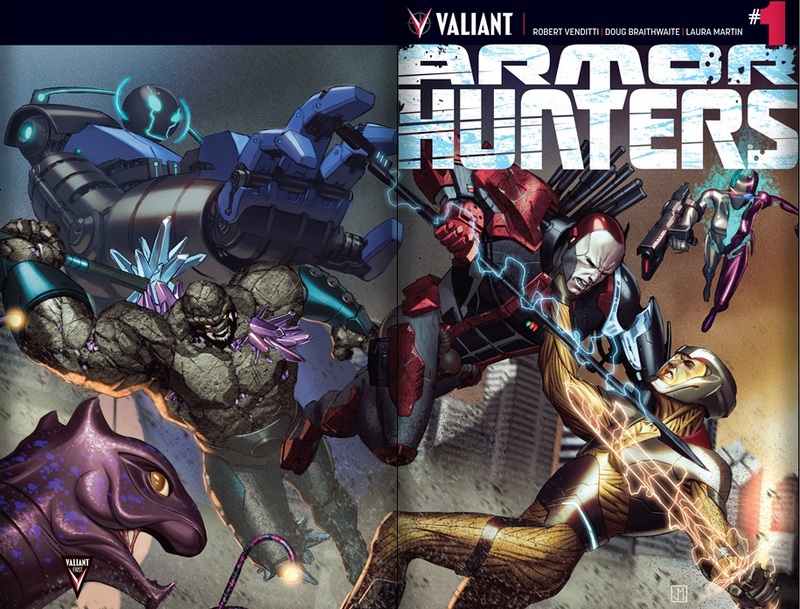 The hunters launch four animal squads against Earth forcing the Unity team to split up. Eternal warrior and Ninjak take London, Aric handles Nebraska etc. In Utah the US forces try to fend off a hunter with the aid of Bloodshot. Elsewhere Livewire uses her powers to command an awe inspiring ship. 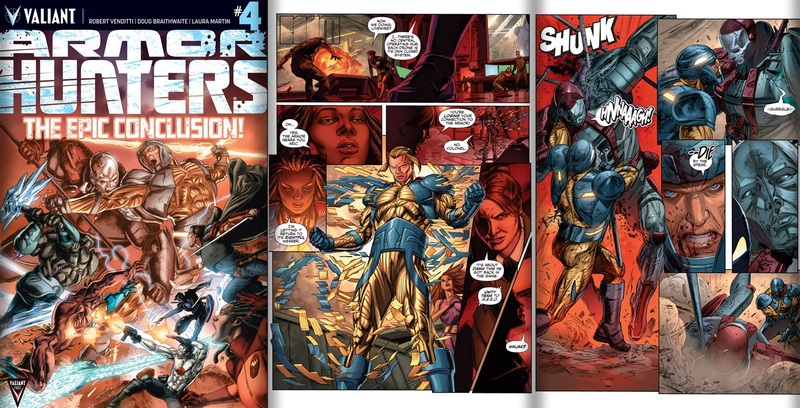 Faced with the consequences of owning the X-O Manowar Aric decides to hand it over to the hunters. After cleaning up Rome Ninjak and Eternal Warrior rendezvous with the others. In Earth’s Orbit the Manowar fly’s and docks n the hunters giant robot ship. When the armor is removed from it’s host the hunters are shocked it’s Livewire. She warns them to leave Earth but they prepare to kill her. She crashes them down to Earth and takes off in the armor. Despite this they are not defeated and they start destroying everything in sight. Livewire is shocked they survived re-entry and Aric decides it’s time to jump back into action. 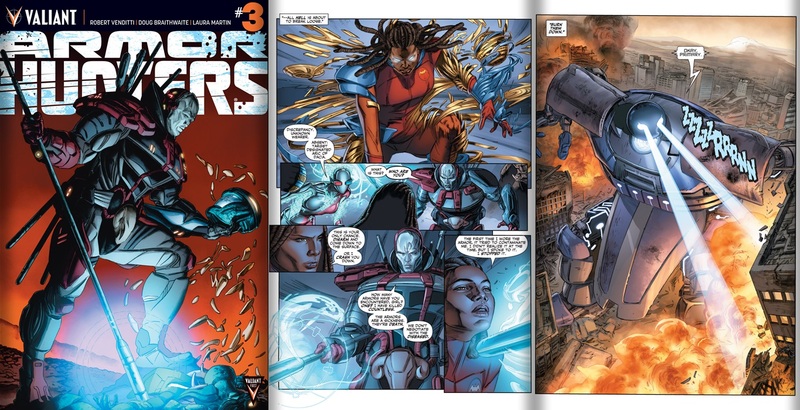 Gin-Gr cuts loose on the city and Livewire tries her best to take down the many machines. Aric gets back his armor. As Livewire takes down the thousands of drones guarding Gin-Gr Aric takes it down. The remaining hunters disembark to face Aric, Eternal Warrior and Ninjak. Despite best intentions though Aric is mortally wounded the arrival of Bloodshot helps take down two of the hunters. Aric then kills the one who mortally wounded him before collapsing. Twenty four hours later he is healed by Shanhara/X-O Manowar though the healed portions become techno organic. ← Meet CBS's Jimmy Olsen!